However I need help with the remaining characters that are featured in Treasure Team Tango. The roles that are open are listed below but before you look at them please read the following rules. 1) Please have a clear microphone so that I will be able to clearly hear your audition. If you have an old microphone that makes a fuzzy/buzzing sound that makes it hard to hear your voice in anyway then there is a high chance that you will not get the role you are wanting. 2) No background noise please. As stated in the previous rule, I want to be able to clearly hear your audition so try and find a quiet room to record the lines in. 3) I will not be giving too much detailed feedback as I will be announcing the voices that I liked once the deadline is over so please don't be surprised if I give little to no feedback on your audition. 4) Yes, you are allowed to audition for more than one role so go nuts! 5) Please only do about 3 takes maximum as it makes it easier for me to pick out which take I like the best. 7) If you get casted you MUST get your lines done when asked, otherwise there is a chance that you will be replaced. 8) Have fun! Generic I know but YAY FUN! Jet is an egotistical speedster that believes he is the fastest thing alive and isn't afraid to brag about it, especially to Sonic! 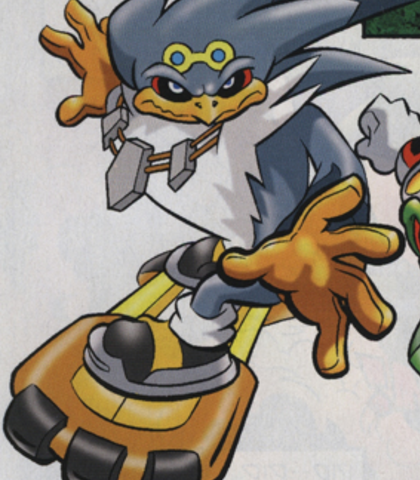 He is the leader of the Babylon Rogues who are also in search for the Sol Emerald just like the other teams are. 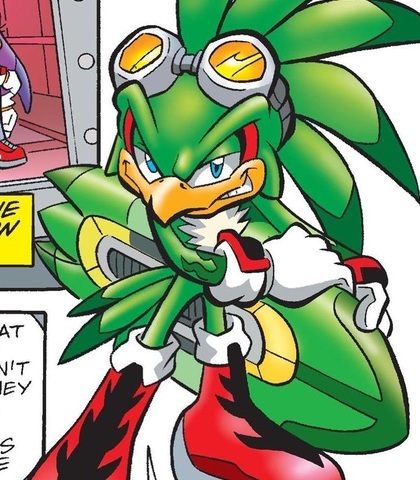 For this character I would like the voice to sound somewhat similar to any of the voices that Jet has had in the Sonic Riders series. Jet is a major character that appears in Parts 3 and 4. (Somewhat dismissive/sarcastic) Yeah-yeah. You found us something special. (Embarrassed) That's not my name! LET ME GO! So long chumps! Thanks for doing the grunt work for us! Wave is a very skilled mechanic who specializes in Extreme Gear. She is the mechanic/technician for the Babylon Rogues but finds herself having to take charge sometimes in order to keep things under control. Wave helps lead the Babylon Rogues to the Sol Emerald in Treasure Team Tango. 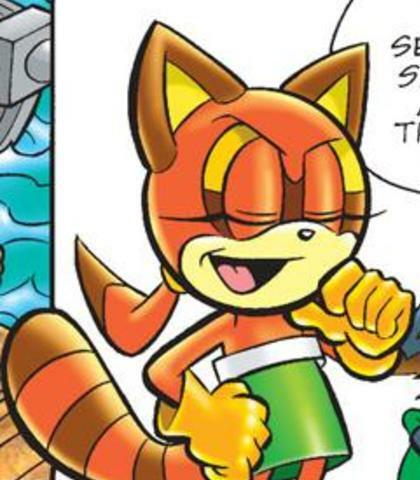 For this character I would like the voice to sound somewhat similar to her Sonic Free Riders voice (Kate Higgins). 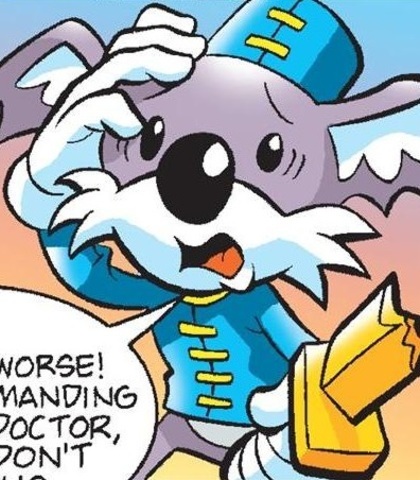 Wave is a major character that appears in Parts 3 and 4. (Pleased) Looks like my sensors were right after all! (Angry) Quit wrecking my gear! Just grab the gem and let's go! This is just a simple sailor who pretty much only appears in the beginning of Part 2 along with Marine and only has about 2 lines. For this character I would like just a typical sailor guy (Australian accent is optional). (Panicked) Whoa! Careful there, Marine! 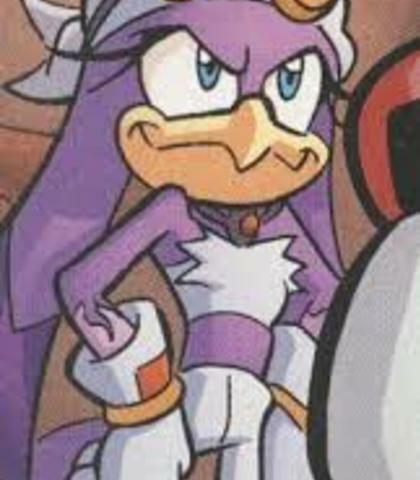 Storm is the brawn of Team Babylon who often finds himself knocking heads with Knuckles the Echidna. He is very loyal to Jet but doesn't seem to get along with Wave as much. Storm aids Jet and Wave in getting the Sol Emerald. For this character I would like the voice to sound somewhat similar to any voices he's had in the Sonic Riders series. Storm is a major character that appears in Parts 3 and 4. 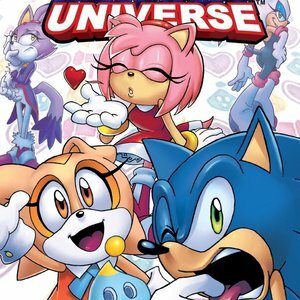 (Flustered) H-Hey, who's the cute pink hedgehog with 'em...? 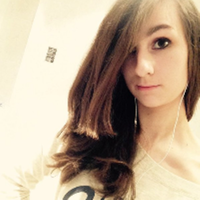 Marine is a young girl who lives for adventure, she is a loyal friend to Blaze and have a very lively personality. For this character I would like the voice to sound upbeat to match her personality, of course with a thick Australian accent. Marine is a minor character that appears at the beginning for Part 2. (A little panicked) Oi! You betta' be careful ya don't ding my dinghy! Vanilla is Cream's mother and cares for her daughter very much, as well as other people. After having to move into Freedom Fighter HQ she seems to be having a hard time adjusting and grows concerned for Cream when she takes an interest in joining Amy Rose on her mission. For this character I would like a soft motherly voice with a slight high pitched tone to her. Vanilla is a minor character that appears at the beginning of Part 1 and the ending of Part 4. (Nervous/Unsure) It's certainly...rustic. It feels...very casual. H-Hello. Let's not bother them, Cream. Besides it's not polite to point. (Callng out to Cream) Stay with Ms. Rose and try not to get mussed up! Cheese is Cream's very best friend and will do pretty much anything and everything with her. He also is very protective of Cream and will do his best to not allow any harm to come to her. 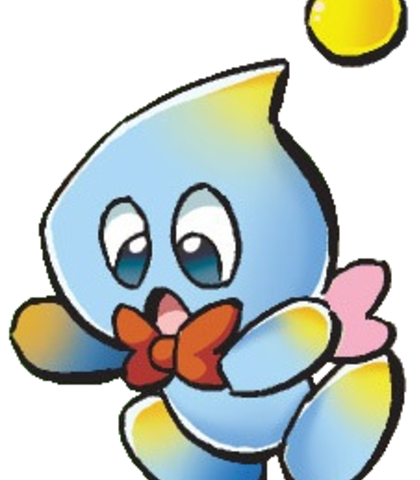 For this character just give a sample of some Chao noises. Cheese is a major character that appears in Part 1, 2, 3 and 4.